Marina Povitkina, PhD, is a postdoctoral researcher at the Centre for Collective Action Research at the University of Gothenburg, Sweden. 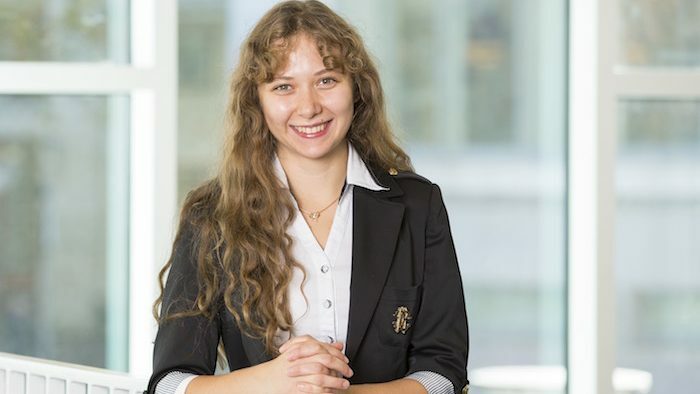 Marina’s research interests include comparative environmental politics, collective action, corruption, democratization, political organization of small island states and quantitative methodology. When I was an undergraduate student, I moved from Ukraine to Sweden to pursue a Master’s degree and it struck me how differently the two countries address their environmental problems. This motivated my eventual thesis topic on why some countries engage in environmental protection and others do not. Reading the works of Sverker Jagers, Andreas Duit, Thomas Bernauer, Eric Neumayer, Vally Koubi and Gabriel Spilker brought me into the field of comparative environmental politics. Their research spurred my interest in the question: Are democratic “rules of the game” beneficial for the environmental performance of countries or are authoritarian governments more suited to pursue such long-term commitments? I didn’t give up on the topic even after my Master’s thesis and continued researching it during my PhD. Reading the literature, I had a hunch that looking solely at democratic institutions is not sufficient to understand why some countries succeed and others fail in securing environmental protection. Works by Bo Rothstein and the researchers at the Quality of Government at the University of Gothenburg provided some clues and brought me to my main research area – the interplay between democracy and quality of government in achieving environmental goals. How does democracy affect environmental performance? Democratic institutions (institutions as “rules of the game”) can have both positive and negative implications for a countries’ environmental performance. On the one hand, democracy allows environmental interests to be represented in the political arena: the freedom of association inherent in democracies allows green political parties to form and participate in the political process and provides a way for green civil society organizations to mobilize and lobby their interests; the freedom of media in democracies helps raise awareness of environmental problems and presents environmental issues as political failures; finally, through free and fair elections, politicians can be held accountable for their actions to green interests in the society. All these factors favor the adoption of environmental policies. On the other hand, democratic institutions also open up space for the participation and lobbying of business interests that often go against environmental protection. In addition, the short electoral cycles of most democratic regimes often incentivize political leaders to think short-term and during their period in office they prioritize those policies that can help them to stay in power longer. In such shortsighted systems, commitments to policies that only bring visible results in the long term, such as protection of the environment, are unlikely, as they may seem unattractive to the political leaders. Nevertheless, numerous empirical studies show that more democratic countries tend to perform better in protecting their environments than less democratic regimes. My work contributes to this debate. I argue that looking at whether the regime is democratic or not can create a distorted picture of whether a political system can reach environmental goals. While democracy can influence commitments to environmental protection and policy adoption, it does not necessarily guarantee that these policies will be successfully implemented. In my work I argue that the performance of democracies in achieving environmental sustainability depends on the quality of government, which, broadly speaking, encompasses the absence of corruption, high rule of law and high bureaucratic capacity. While democracy can favor environmental policy adoption, high quality of government can secure the implementation of these policies. On the contrary, low quality of government, including pervasive corruption, weak rule of law, and incompetent public administration, reinforce the negative effects of democracy on the environment by stimulating shortsightedness and paving the way for anti-environmental interests to influence politics. In my doctoral dissertation “Necessary but not Sustainable? The Limits of Democracy in Achieving Environmental Sustainability”, I find that democratic governments only perform well if their quality of government is high. If quality of government is low, democracies do no better and at times do even worse than authoritarian regimes. Corruption, weak public administration, and lack of rule of law undermine incentives for and the credibility of policy efforts, and obstruct the implementation of public policies related to environmental protection. In other words, they limit democratic governments’ ability to act in the long-term interests of the public. What other factors contribute to green policies besides economic growth? Political institutions or the “rules of the game” are crucial determinants of whether policies get adopted or not. Higher economic growth by itself does not necessarily guarantee that political leaders start adopting green policies. According to the extant research, people in more economically developed countries are indeed more likely to have pro-environmental values than people living in poorer states (e.g., Inglehart 1995) and are therefore more likely to demand environmental policies. However, there is no guarantee that economic growth brings a value shift – that people start demanding green policies or that the politicians will listen. On the other hand, politics and political institutions affect what policies appear on the government agenda and get adopted. For example, corruption, as an example of a political institution, decreases time horizons of political leaders and makes it unlikely that they commit to green policies. On the contrary, leaders in a political system with relatively low levels of corruption are more likely to think long-term and adopt environmental policies. What is your take on Donald Trump’s decision to pull out of the Paris Agreement, while at the same time China invests heavily in green technologies? Are we seeing a shift from the West to Asia when it comes to leadership in sustainable development? I do not think it is time to talk about a shift in the leadership of sustainable development from the West to Asia while the EU is considered a part of “the West” – at least not yet. The US lost its global leadership in environmental policy to the EU in the 1990s, when EU environmental policies became more comprehensive following the Chernobyl disaster, the chemical fire on the Rhine in the late 80s, and the mad cow disease scandal in the early 90s. Moreover, the US decision after the change of presidency is hardly surprising. Former Republican President George W. Bush did not ratify the previous global environmental agreement (the Kyoto protocol) either. While we can see positive results from EU environmental policy – Portugal running primarily on renewable energy, Germany being on the way to substantially cutting down CO2 emissions and Sweden recycling 99% of all household waste – I would be careful in calling China a leader in environmental policy. European nations have led environmental sustainability for decades and it is yet to be seen if the leaders of Asian countries follow up on their promises. Island nations seem to be the most vulnerable when it comes the effects of climate change. What lessons can we learn from their attempts to adapt to those challenges? Small islands are losing freshwater sources and sinking because of sea level rise and, unfortunately, there is little to be done about it in the long term. Some islands and low-lying coastal areas have successfully conducted land reclamation projects; however, with the further rises in sea level, adaptation efforts are unlikely to be sufficient and migration is inevitable. Instead, we can learn important lessons from island communities about more successful approaches to sustainability than climate change adaption – that is the mitigation of future environmental catastrophes. Indigenous communities on small island states have shown fascinating examples of sustainable resource use and environmental protection over thousands of years. Before colonization, inhabitants of the Solomon and Tonga islands, for example, being aware of their islands’ limits, maintained stable population levels and the sustainable use of resources for centuries (for more examples, see the book Collapse by Jared Diamond). For the West, with its consumption-oriented value system, there is much to learn about respect for nature and long-term thinking from these societies. As a follow up on my previous work, I am currently investigating which type of democracy – liberal, deliberative or social-liberal/egalitarian – is better suited for securing environmental commitments. Typical examples of the liberal democratic tradition are the US, the UK, and Australia; strong deliberative characteristics have developed in Germany and Switzerland, while social-liberal democratic features are pronounced in Sweden and Denmark. Additionally, I recently joined the Centre for Collective Action Research at the University of Gothenburg. My project will focus on how to make individuals in large groups sacrifice a little bit of their short-term interest for a collective long-term gain. For example, how to make citizens in a country recycle to achieve a waste-free environment. The research process entails a lot of uncertainty, which often puts young researchers outside their comfort zone. Often you start with a hunch without knowing which way to take it or what the result will look like in the end. Sometimes you even have to reconsider your assumptions, theories you use and the very premises of your hypotheses, while the feeling of being lost can accompany every step until you are almost done. The uncertainty part of research is inevitable, but very difficult to cope with. One of my main suggestions for young scholars is to learn how to live with uncertainty, embrace it, and find a source of infinite creativity in it, instead of a source of panic and fear. This skill is essential in research.